We are glad to be sponsoring this grass roots Ontario herbal event. We are thrilled to announce that Herbalist and Ethnobotanist David Winston, will be joining us as our keynote speaker at Back To Your Roots 2018. David has 49 years of training in Chinese, Western/Eclectic and Southeastern herbal traditions. 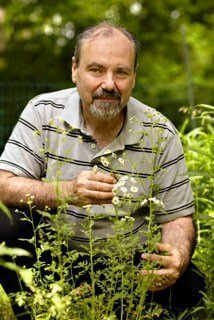 He has been in clinical practice for over 40 years and is an herbal consultant to physicians, herbalists and researchers throughout the USA and Canada. In 2013 David was presented with the Natural Products Association (NPA) Clinician’s Award and awarded a fellowship by the Irish Register of Herbalists. Don’t miss out on this rare opportunity to learn from one of the best! See you Saturday September 8th. This year’s Back To Your Roots Retreat will be held at Dogwood and Brambles Farm, a lovely little farmstead near Cannington, Ontario.